Lock in a great price for Hôtel-Demeure Les Mouettes - Chateaux et Hotels Collection – rated 9.1 by recent guests! The whole experience was outstanding. The staff were some of the best I've encountered in the world.... always smiling and always accommodating. We dined in the restaurant twice and these were the best meals of our trip! 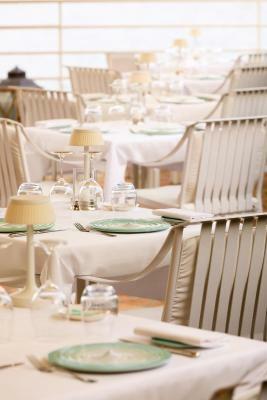 Fantastic breakfasts on the terrace overlooking the sea. Staff were excellent throughout the hotel - they couldn't do enough to help us and really made our stay special. Service was friendly and professional but not intrusive. Service around the pool for drinks and snacks was also great and very efficient. 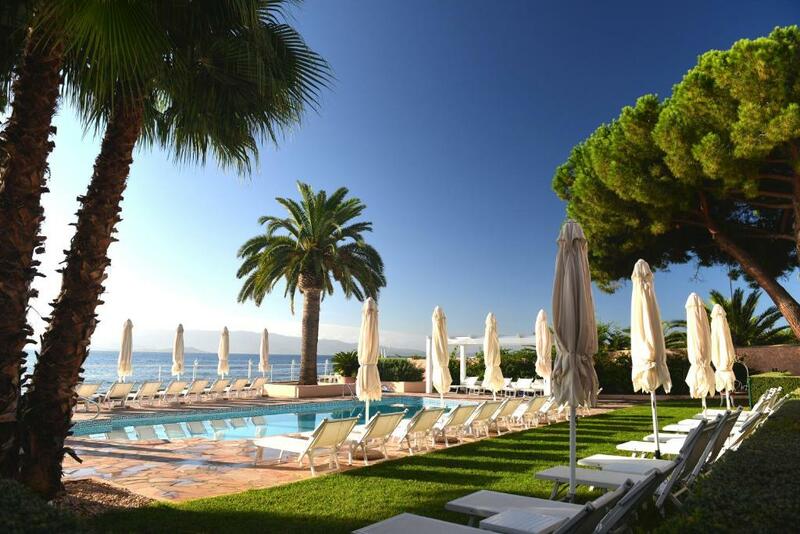 Wonderful location with great sea views and lovely heated seawater pool overlooking the beach. The staff was outstanding, so friendly and professional and always smiling! The overall qualities of this hotel are excellent especially the balcony room we had selected. The fine dining restaurant is excellent. Every member of the staff team were a delight and gave great service. Beautiful hotel - absolute joy - Glenn and Debbie from UK - we want to live here permanently in the hotel ! Good sized room. Lovely bathroom. Staff were friendly & helpful. Good sized swimming pool. If you didn't want the 15 minute walk into town, there was a nearby bus stop & frequent buses. The beautiful location and professionalism of the staff. Bedrooms are situated overlooking the sea and pool with discreet and large terraces. Ideally located in the gulf of Ajaccio, with direct access to a small beach, Hôtel-Demeure Les Mouettes is a charming 19th-century house. Stay in one of the hotel's large rooms, some with terraces providing superb views of the gulf. For your convenience, rooms are equipped with air-conditioning and mini fridges. Take a refreshing dip in the hotel's private pool or in the clear blue waters of the Mediterranean sea before resting in the shade of palm trees. Local cold meats and cheeses are available throughout the day for those wishing to enjoy some of the best local flavors without leaving the hotel's sunny terrace. 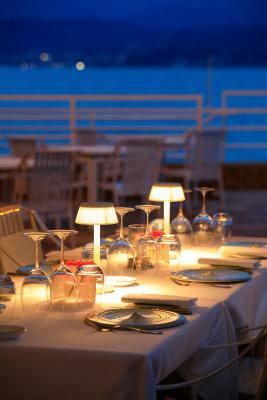 When would you like to stay at Hôtel-Demeure Les Mouettes - Chateaux et Hotels Collection? This air-conditioned room features satellite TV, free Wi-Fi access, a refrigerator and safety deposit box. It is complete with a private bathroom. This air-conditioned room features a private terrace with views of the sea, satellite TV, free WiFi access, a refrigerator and safety deposit box. It is complete with a private bathroom. This room is located on ground floor. Extras include an iPod docking station. This room is located on an upper floor. This air-conditioned suite features a private terrace with views of the sea, satellite TV, free WiFi access, a refrigerator and safe. It is complete with a private bathroom. Extras include an iPod dock. House Rules Hôtel-Demeure Les Mouettes - Chateaux et Hotels Collection takes special requests – add in the next step! All children under 4 years are charged EUR 30 per person per night in a crib. Hôtel-Demeure Les Mouettes - Chateaux et Hotels Collection accepts these cards and reserves the right to temporarily hold an amount prior to arrival. Nothing. The beach was rocky but water shoes were available if you wished to go into the sea. Quite a distance from the centre of town. Could not have been more perfect. The staff was so professional, welcoming and accommodating. This hotel is low key luxury all the way, from the fabulous bedding to the different options of where you could take your meals, to the wood burning fireplace in the lobby. Cécilia and her colleague provided fabulous service from the moment I arrived , well before check in time, to planning a fabulous excursion for me by train to Corté. They even got me checked in to my room over 2 hours early. The decor of the hotel is very fresh and chic. The location is wonderful, about a 20 minute walk to the middle of the city. But your away from the hub bub of the city right at the edge of Mediterranean with breathtaking views. If you don’t care to have the larger breakfast buffet at 21€, an appropriate price for this level of hotel, there is a boulanger right across the street that opens at 6 AM . If you’re only interested in a continental breakfast at the hotel, it will be delivered to your room. I spent 3 nights at the hotel, and never felt like I needed to rent a car. The hotel will readily arrange for a taxi at 10€ a ride, into the city. 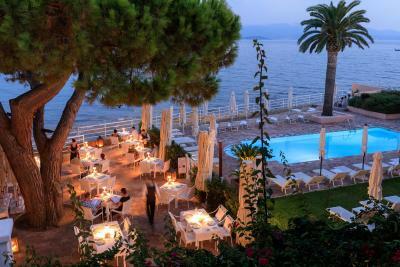 I can’t wait to go back to Ajaccio and would not hesitate staying at l’Hotel Les Mouettes again. Beautiful, small friendly run hotel with amazing location next to the sea. Lovely sea facing rooms with nice private terrace area. Gorgeous bathroom and very comfortable bed. Excellent breakfast too! Great location, exeptional view(s) from room. Private beach and heated swimming pool. To do even once in a lifetime. The location was a bit out of the centre of the town, about 10 minutes walk. Overprice for 3 star hotel. Very noisy air conditioner in the suite .